Owning a RV is such an experience. What you don't need is high costs on maintenance ruining those times. 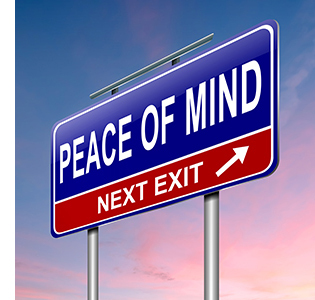 Why not get true peace of mind with our Warranty Forever! Warranty Forever™ pays 100% of parts and labor cost anywhere in the USA! Coverage lasts for as long as you own your RV. We believe that you should buy with complete confidence, never having to pay for those expensive repairs on your motorhome or travel trailer again and it's ABSOLUTELY NO COST TO YOU! You simply do the recommended maintenance outlined in the RV Warrany Forever™ agreement and you are covered FOREVER! Let's truly begin your dreams of RVing today! There is no catch; this program is provided to you at no charge. The only requirement is that you follow the customary maintenance outlined in the Warranty Forever™ agreement. How do I know what maintenance is required to keep my Warranty Forever™ agreement in force? Why do I have to follow the maintenance guidelines outlined in my Warranty Forever™ agreement? Proof of annual maintenance can be submitted via mail, email, fax or through the NAE/NWAN Connect app. See your Warranty Forever™ agreement for complete details. Claim specialists are available Monday through Friday 8:00AM - 8:00PM and Saturday 9:00AM - 5:00PM Eastern to answer all your questions. Take your RV to any professional repair facility. Contact us at 1-800-810-8458 for additional assistance or contact your selling dealer's service department. Take your RV to any professional repair facility and provide them with a copy of your Warranty Forever™ agreement. They will handle it from there. If you have any questions that you would like to ask us directly, call 1-800-810-8458 and speak with a claims specialist. The NAE/NWAN Connect app is available for download on compatible iOS and Android devides. To download the app, visit the Apple AppStore or GooglePlay store and search "NAE/NWAN".